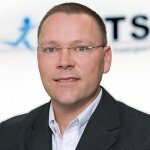 ETS Transport & Logistics GmbH>Logistics products and solutions>General cargo – professional services of a high standard! General cargo – professional services of a high standard! Your general cargo is in the best of hands at ETS. Whether in Germany, Europe or worldwide – you tell us where from and where to, and we take care of everything else. Transporting part and full loads in the area of general cargo is our daily business. General cargo means all goods and products of the same kind that do not need any additional transport containers or packaging. This does not include liquid goods and gas, as they can be pumped directly into a tank for transport purposes. Whether you want to transport your general cargo sorted or unsorted, as a less-than-container load or a full-container load (LCL/FCL) by road, rail or air – we develop cost-efficient and customised solutions to meet your requirements. Our IT-supported tools ensure total transparency and reliability, from order documentation and real-time track & trace through to tailored load carrier management. It goes without saying that we offer the full range of services for both B2B and B2C transports. You can trust our expert services: we organise direct transports to meet your preferences and time schedule, and we also handle front-to-end processing of hazardous goods transports. We offer our services for all common package categories and use transport-safe packaging of all kinds for transshipment and storage activities.